It looks like the kids are alright at Chelsea. 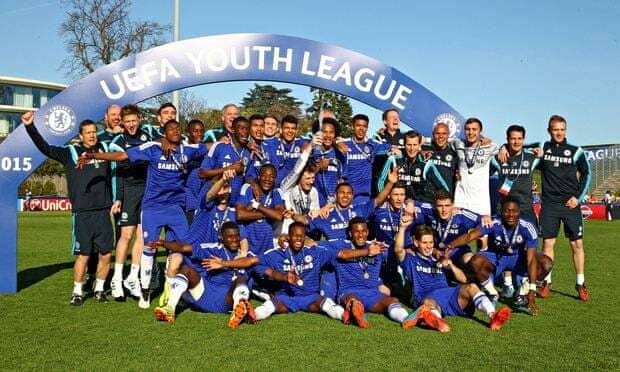 The Blues under-19s achieved a major milestone on Monday, as they beat Shakhtar Donetsk 3-1 in the UEFA Youth League final to be crowned the competition’s champions. Izzy Brown gave Chelsea the lead after just seven minutes, but Shakhtar levelled at the end of the first half when Denys Arendarukf ound the target. Chelsea regained the lead after the break when Dom Solanke scored a towering header from Jeremie Boga’s cross just two minutes after the restart. Izzy Brown completed his brace just eight minutes later with a cool finish from the edge of the area, while Viktor Kovalenko netted a stoppage-time consolation for Shakhtar.